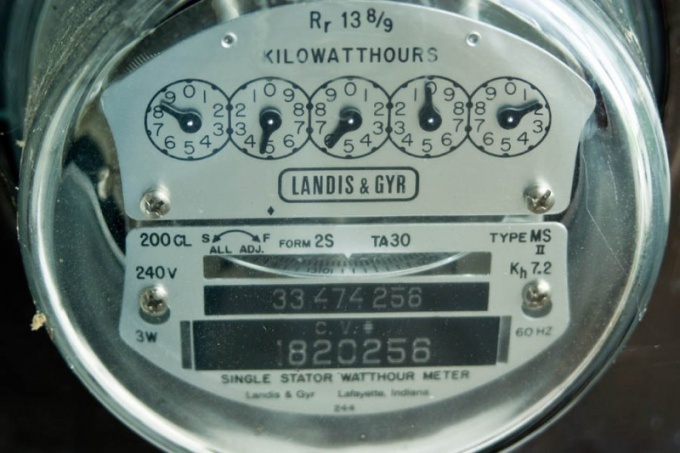 The meters of energy consumed, whether electrical metering devices or counters of gas and water, shall have a serial number. The meter number is usually indicated on its front side. Location numbers can be different and depends on the model of the metering device of energy. If you have kept passport on the counter, then it will not be easy. The passport serial number of the metering device is usually indicated on the first page of the document. In the future, you won't have any problems with determining the number of the counter, make a copy, or several, the first two and last pages of the passport on metering device. When you install the counter, the employees of the energy supplying organization shall draw up the act of taking your meter in operation. Such a document is drawn up in two copies, one of which must be from you. In this act necessarily indicates the number of your counter. If you do not have a copy of the document, then you should contact the utility company with the request that you have provided a copy of the deed or say the number of your counter. In some cases, the number of the metering device indicated in the contract between the consumer and the utility company. Employees of sales companies on a quarterly basis, make regular visits to the homes to fix the readings and check metering. Call the company that services your housing area, find out when staff will work in your home, and ask them to show you the number of your meter. If you have already given to the counter in fact, look at the calibration certificate, as employees of metrological services required in this document to indicate the serial number of the metering device. If you do not have such a certificate, please contact the organization that produced the calibration of the meter, with the request that you have provided a copy of this document or told a room of your counter.